The War in Between is a feature documentary film on an incredible bond between combat veterans and rescued wolves, both suffering from PTSD. In a 'Back to Nature' therapy man and animals learn how to trust each other to heal. 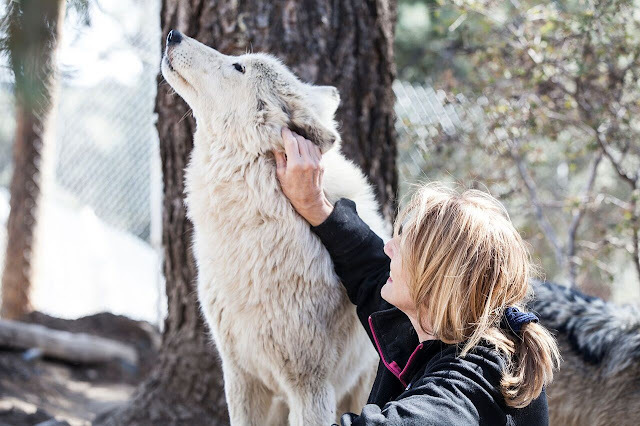 Founded by Desert Storm Veteran Matt Simmons and Psychologist Lorin Lindner, Lockwood Animal Rescue Centre (LARC) is a 20-acres sanctuary located in Frazier Park (CA). 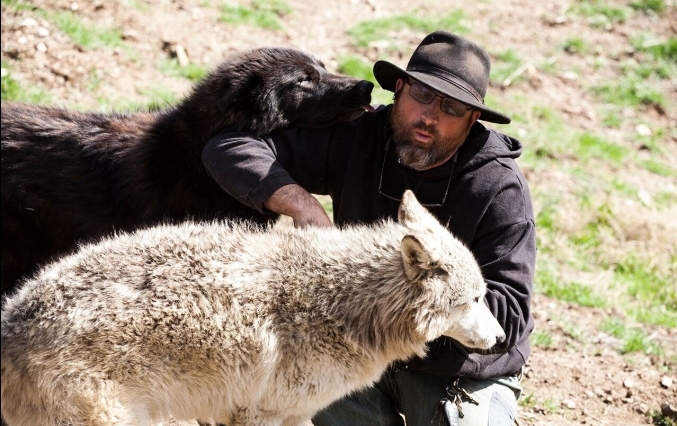 In this stunning location, surrounded by green trees and mountains, Veterans and wolves fight against fear and depression. With this documentary, Italian filmmaker Riccardo Ferraris gets right to the heart of an extraordinary relationship. 'It's the first documented case of a cross species simultaneous therapy - director said – A journey we covered for over a year'. 40 wolves currently live at LARC, they are all rescued from roadside attractions, breeders and other exploitative situations. All over US. 'The veterans working in the Sanctuary get all the wolves depression, because they have the same thing – Psychologist Lindner said – The trust is crucial: after the shock of a war soldiers realize that they can have a pure connection, because having a relationship with an animal is having a relationship'. The War in Between documents a slow transition: what Veterans find at LARC, working with the animals and getting back to nature, is that they belong. 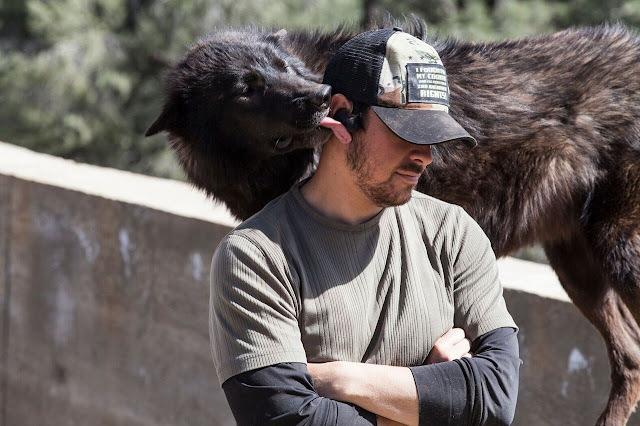 'What I see here with the veterans is the rekindling of the 13 years old boy before the trauma – founder Matt Simmons said – It' s amazing to be accepted in a pack that usually accepts only its own offspring. It's a miracle that only happens here at LARC'. Wolves were once the most widely come across wild mammals, inhabiting most of the available land in the northern hemisphere. They are top predators with an undeserved bad reputation, mostly due to children’s stories and legends. Owing to the destruction of their habitat and persecution by humans, they now occupy only about one-third of their former range worldwide, and only about 3% of the continental United States. Over time, worldwide wolf population has dropped 99%, and wolf hunting is now widespread in the US too, where wolves are often hunted by plane and helicopter, and with traps and poison. Responses to "Combat Veterans and Rescued Wolves Heal Each Other From PTSD"
God bless all of the people involved in his project. 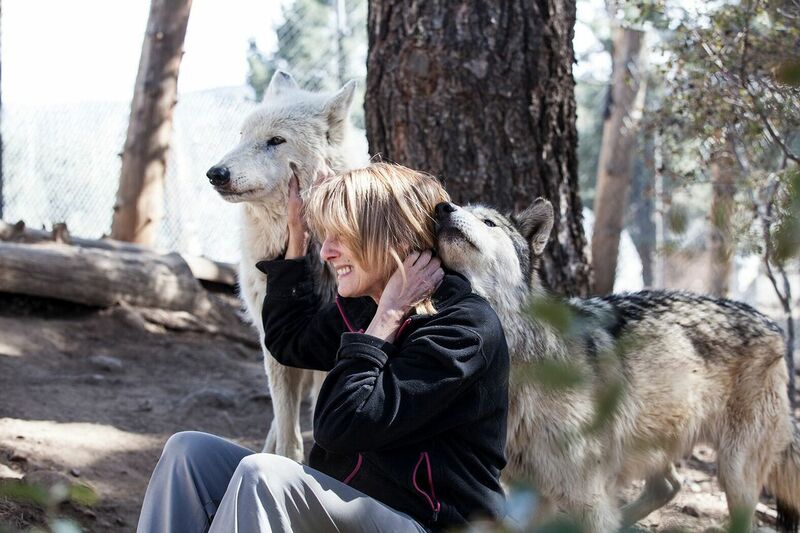 An God protect the wonderful wolves!